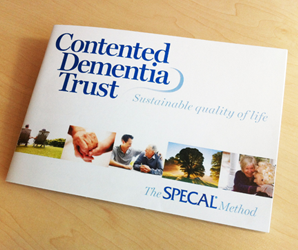 The Contented Dementia Trust has considerable experience in managing cases where more than one individual within the same family (or other close personal relationship) has dementia. We have consistently found that it is counter-productive to attempt to develop a SPECAL Care Profile for two people simultaneously. Therefore, where there are two cases of dementia in the family (both parents for example), it is important for the family to decide which person was affected by dementia first, and to make that person their initial focus. They can begin to develop a SPECAL Care Profile for the second person as soon as development of the first person’s Care Profile is on its way. A one day course is offered for spouses or partners of a person with dementia who is already in a care home. The focus is on issues that have particular relevance for this group, including care home visits and particular ways in which the SPECAL method can be used to guide end of life care. Bespoke short day Family & Friends (F&F) courses are offered where all the attendees are concerned about the same person with dementia. The number of attendees may vary from as few as four to as many as fifteen. Usually we ask for at least one member of the family to attend a Two Day Introductory F&F Course before commissioning this type of event. More information is available on request. Occasionally a person wishing to attend a SPECAL Two Day Introductory Family & Friends Course is unable to set aside two consecutive days. Although not ideal, we can arrange for them to attend the first day of the course and return for the second day at a later date. Please advise us when making your initial booking. 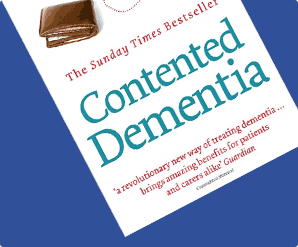 The Contented Dementia Trust has considerable experience in working with those persons responsible for training, supporting and managing professionals whose work brings them into contact with people with dementia. We recommend that the responsible person first attend a SPECAL Pro Introductory Day. In our experience, this knowledge of the SPECAL method will better enable them to support their colleagues in any future training and realise a speedier and more effective return on their training investment. 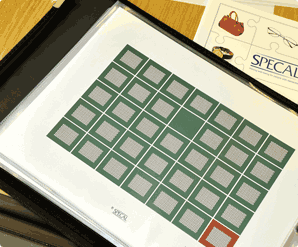 The SPECAL Pro course is the point of entry to all higher level training, including our Practitioner Training Programme. SPECAL Pro attendees will be provided with a password enabling them to access our Members area, where full details are available. Demand is growing for e-learning and webinars to support our courses and training programmes at all levels, particularly where location is a factor. If you would like further information on any of the above courses please contact us, we will be happy to help you.